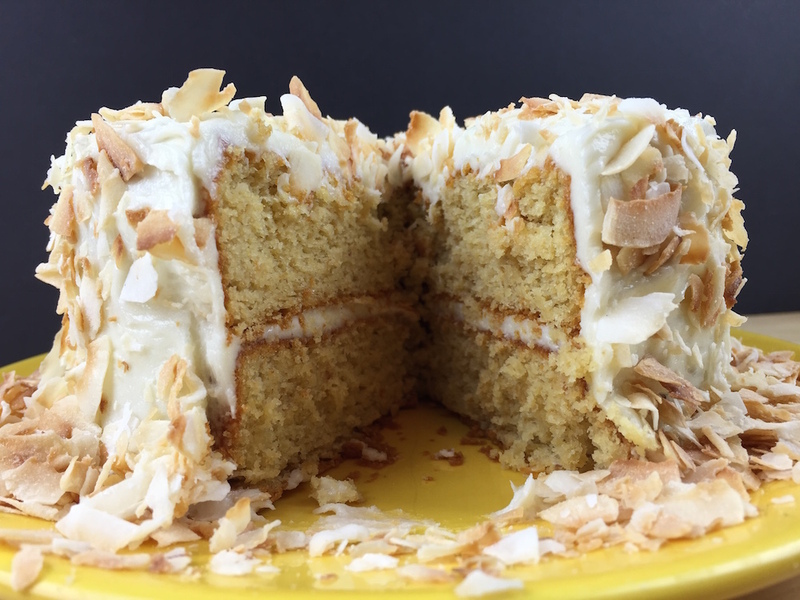 Cake: In a large bowl, place entire package of the LC-Yellow Cake Mix. Add the rest of the ingredients and mix thoroughly, 1-2 minutes. Grease & spray (2) 6” round cake pans, or 9-10 cupcake tins. Pour batter into prepared pan. Bake at 350° F for 20-23 minutes or until top springs back and knife inserted into middle comes out clean. Cool 15 minutes in pan before turning out onto cooling rack. 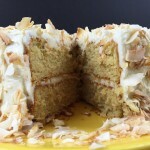 Top cake with desired amount of LC-Toasted Coconut or desired toppings.